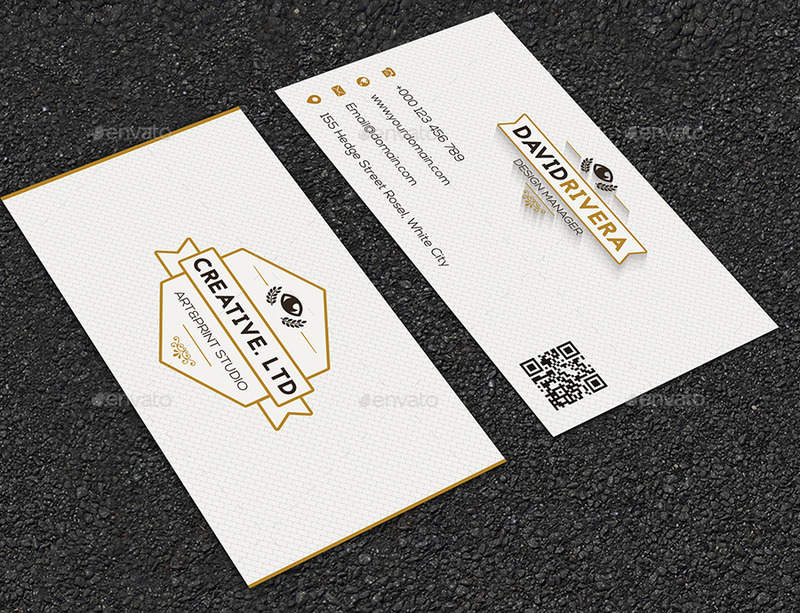 A pure white unique design with gold details and a Beautiful Retro insignia to place your brand or business name. A Professional business card template for Creative business, corporate or personal use. All objects are resizable, shapes with no quality loss, removable and editable. -Please Check the Screenshots for better View. 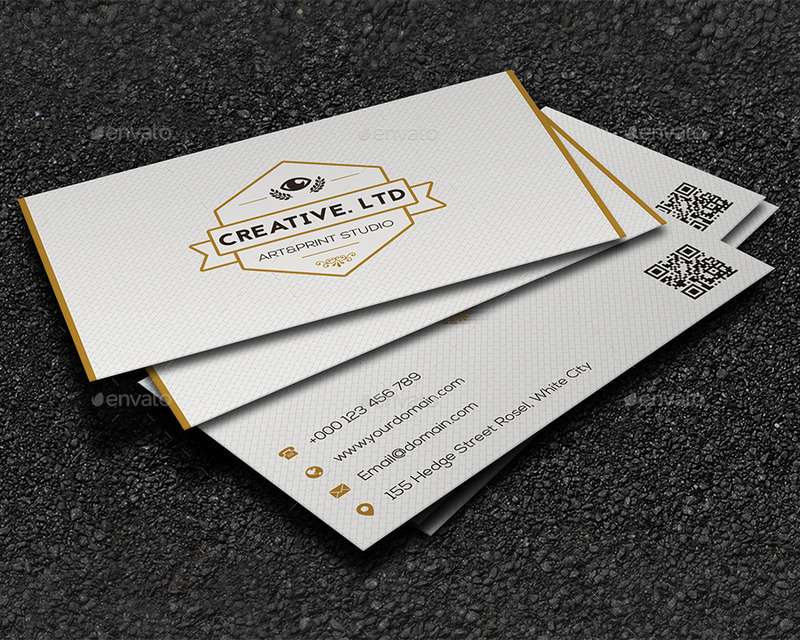 •Help file (How to Make your own QR code guide and the long shadow effect). Thank you and feel free to ask anything. | Please rate this item. Go to Profile/Downloads and rate.